Were Hedge Funds Right About Citigroup Inc. (C)? “Value has performed relatively poorly since the 2017 shift, but we believe challenges to the S&P 500’s dominance are mounting and resulting active opportunities away from the index are growing. At some point, this fault line will break, likely on the back of rising rates, and all investors will be reminded that the best time to diversify away from the winners is when it is most painful. The bargain of capturing long-term value may be short-term pain, but enough is eventually enough and it comes time to harvest the benefits.,” said Clearbridge Investments in its market commentary. We aren’t sure whether long-term interest rates will top 5% and value stocks outperform growth, but we follow hedge fund investor letters to understand where the markets and stocks might be going. That’s why we believe it would be worthwhile to take a look at the hedge fund sentiment on Citigroup Inc. (NYSE:C) in order to identify whether reputable and successful top money managers continue to believe in its potential. Is Citigroup Inc. (NYSE:C) an excellent investment right now? Hedge funds are in a pessimistic mood. The number of long hedge fund positions fell by 7 lately. 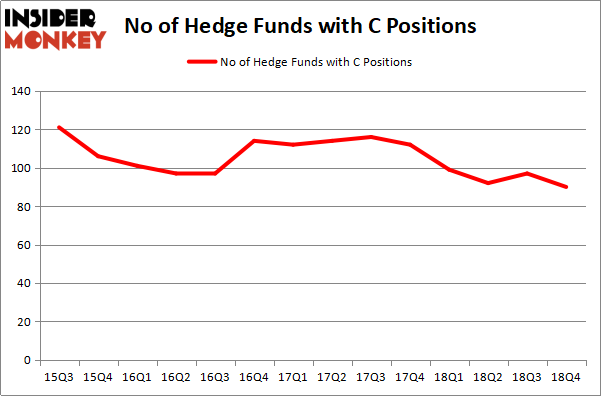 Our calculations also showed that C is among the 30 most popular stocks among hedge funds, ranking 14th. Today there are dozens of metrics stock traders put to use to analyze stocks. A duo of the most useful metrics are hedge fund and insider trading interest. Our experts have shown that, historically, those who follow the top picks of the elite hedge fund managers can outclass the S&P 500 by a healthy amount (see the details here). Let’s take a gander at the key hedge fund action regarding Citigroup Inc. (NYSE:C). What does the smart money think about Citigroup Inc. (NYSE:C)? At Q4’s end, a total of 90 of the hedge funds tracked by Insider Monkey were long this stock, a change of -7% from one quarter earlier. By comparison, 99 hedge funds held shares or bullish call options in C a year ago. So, let’s examine which hedge funds were among the top holders of the stock and which hedge funds were making big moves. The largest stake in Citigroup Inc. (NYSE:C) was held by ValueAct Capital, which reported holding $1641.2 million worth of stock at the end of September. It was followed by Eagle Capital Management with a $1402.5 million position. Other investors bullish on the company included Greenhaven Associates, Diamond Hill Capital, and D E Shaw. Because Citigroup Inc. (NYSE:C) has experienced bearish sentiment from the entirety of the hedge funds we track, it’s safe to say that there were a few hedge funds who sold off their entire stakes last quarter. At the top of the heap, Jeffrey Tannenbaum’s Fir Tree sold off the biggest stake of all the hedgies monitored by Insider Monkey, worth close to $150.3 million in stock, and Doug Silverman and Alexander Klabin’s Senator Investment Group was right behind this move, as the fund dumped about $134.5 million worth. These transactions are intriguing to say the least, as aggregate hedge fund interest dropped by 7 funds last quarter. Let’s also examine hedge fund activity in other stocks similar to Citigroup Inc. (NYSE:C). These stocks are Abbott Laboratories (NYSE:ABT), Amgen, Inc. (NASDAQ:AMGN), DowDuPont Inc. (NYSE:DWDP), and Eli Lilly and Company (NYSE:LLY). This group of stocks’ market values are similar to C’s market value. As you can see these stocks had an average of 52.75 hedge funds with bullish positions and the average amount invested in these stocks was $2566 million. That figure was $8700 million in C’s case. DowDuPont Inc. (NYSE:DWDP) is the most popular stock in this table. On the other hand Amgen, Inc. (NASDAQ:AMGN) is the least popular one with only 46 bullish hedge fund positions. 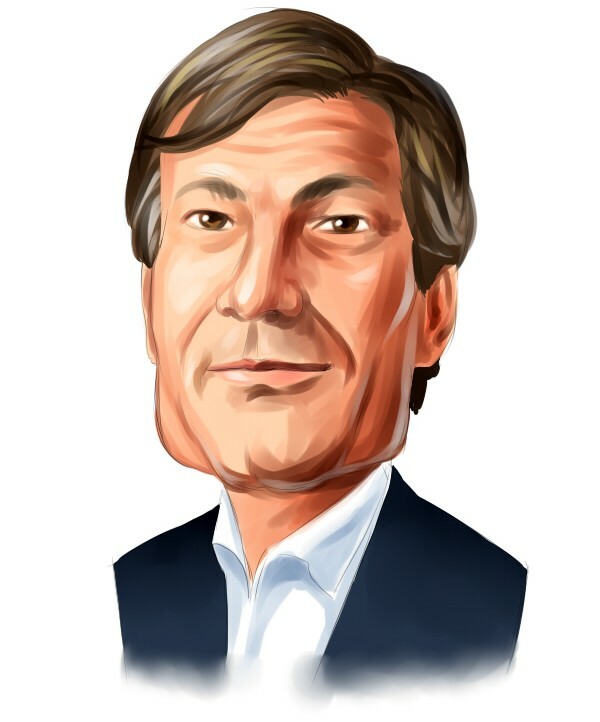 Compared to these stocks Citigroup Inc. (NYSE:C) is more popular among hedge funds. Our calculations showed that top 15 most popular stocks among hedge funds returned 19.7% through March 15th and outperformed the S&P 500 ETF (SPY) by 6.6 percentage points. Hedge funds were also right about betting on Citigroup as the stock returned 26.1% and outperformed the market as well.